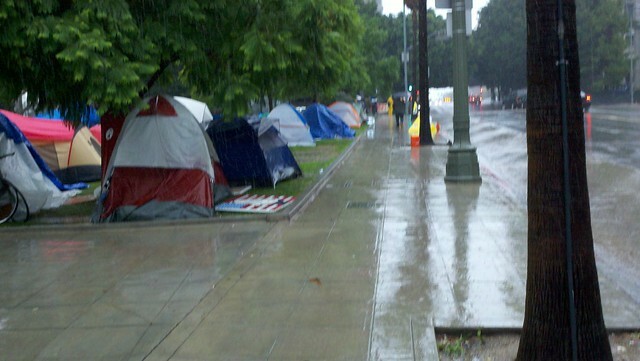 It never rains in Southern California but it is raining today, another test for Occupy Los Angeles. It rained off and on all night and is expected to be rainy for the next few days with tomorrow being the worst. It should be clearing up about the same time the permit for amplified sound and full use of the city hall park comes into effect. Also by then, the film shoot on the larger south lawn will be over and they can move back there. That will be good. They need the space, protesters keep arriving and Occupy LA is already outgrowing the smaller north lawn. Soon they will need both. 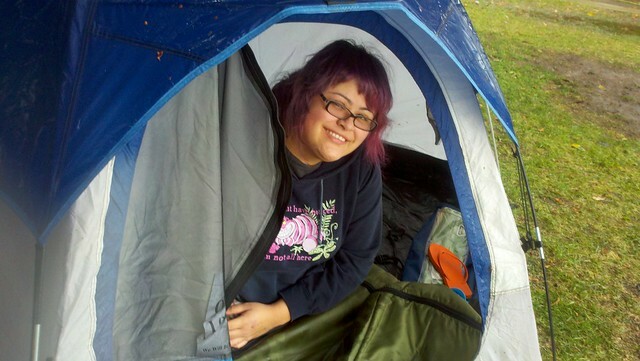 The whole occupation movement is growing here in Southern California as it is elsewhere. Visitors from the new Occupy Orange County came here yesterday, as did some people planning Occupy Longbeach and at noon today, students walked out of classes to begin Occupy USC. But today it's water, water, everywhere. Fortunately there is plenty of coffee to drink. Everything is wet. Tents, sleeping bags, clothes, signs. It's enough effort just keeping electronic equipment dry. Everybody is wet, holding meetings under the shelter of the larger tents or huddling inside the smaller ones. So the city council meeting turned out to be a bit of lucky timing. Normally it's hard to look forward to sitting on a hard, but dry bench in the city council chamber. Today it might have been a good idea even if Occupy LA wasn't on the agenda. The choice of city hall for the Los Angeles version of Occupy Wall St. initially was a controversial one because their chief target is not the city, but now most occupiers think it perfect. It is in the heart of downtown Los Angeles and so pretty much equal distance from everybody. The financial center on Grand is only a few blocks west with Wells Fargo, First City National, Deloitte and Touche and two Bank of Americas as handy action targets. To the east is the county jail and the Federal building and just down Spring a block south is the county courthouse, complete with the Michael Jackson international press corp and satellite truck round up. They've even discovered a CVS pharmacy and a bunch of fast food places in the underground shopping center across from city hall. On Monday, "In a strongly worded declaration, the L.A. county AFL-CIO has endorsed the “Occupy” protests that began in New York and have spread to Los Angeles and other cities." according to the Hollywood Reporter that went on to explain, "The group -- the L.A. County Federation of Labor -- is an umbrella group of AFL-CIO locals and other unions. Among its affiliates are AFTRA, SAG, Teamsters and Los Angeles based IATSE locals." 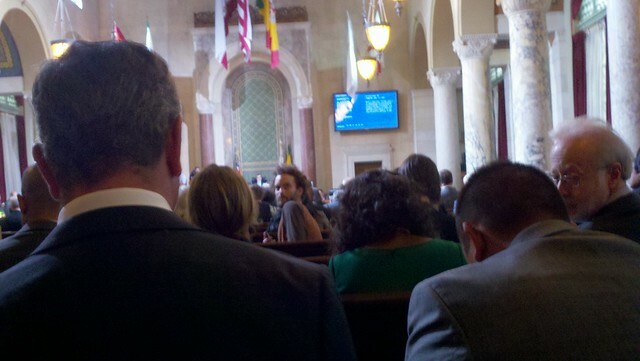 Occupy Los Angeles members filled the council chambers till some were standing in the rear. Many signed speakers cards and were able to speak. They generally made very good comments in the two minutes allowed to each speaker. 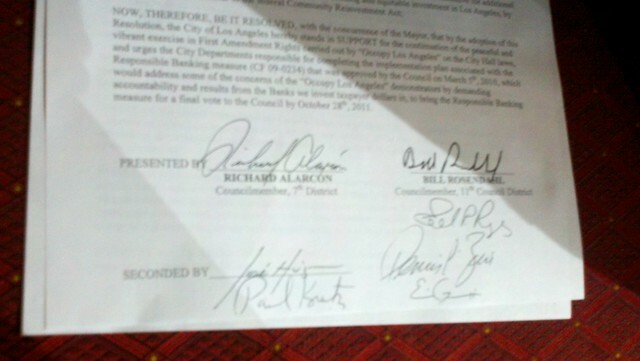 While people were speaking, someone from the city started passing out copies of the resolution signed by 7 out of the 13 councilpersons, which told us it would pass, now the only question was by how much. It didn't actually pass today because the council never votes on a resolution at the same meeting at which it is introduced but the vote to set put it on Tuesday's agenda passed unanimously, which is a good indication of how things will go. The city council has also sent a request to the mayor asking him to issue an executive decree allowing us to stay camped on the lawn 24/7 instead of having to move to the sidewalks every night. These decisions indicate that cooperation they have so far received from the city and the LAPD will continue, at least for now. 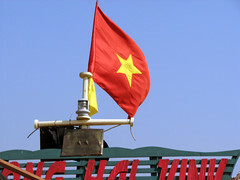 The lack of conflict and intimidation has made it a place were people feel safe in visiting even with their families and the overall atmosphere means that they get hooked on the first visit. The coverage from the local media, and even the crews nearby covering the Jackson doctor's trial, means that word is going out much wider than it could by relying on alternate media alone. So the people are coming to join them in increasing numbers as are the food and supplies from the community that will sustain them. 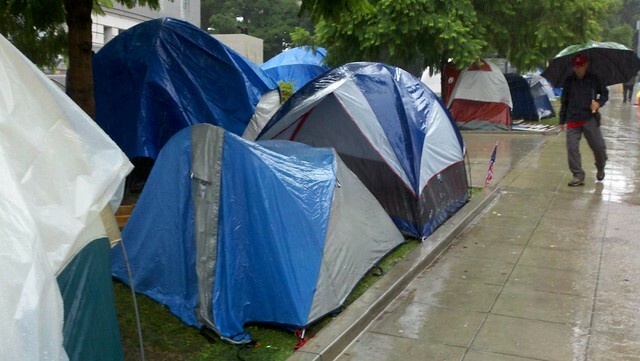 The stars seem to be aligned for Occupy LA even if they can't see them tonight because of the rain clouds. 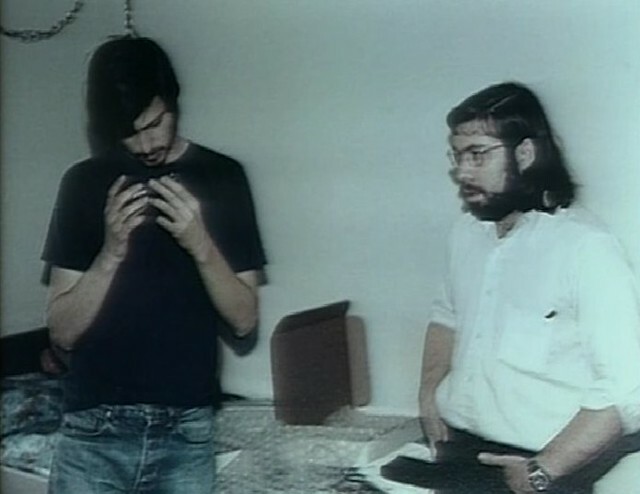 Whereas, in cognizance that one of the factors spurring recent violent revolutionary protests in the Middle East is high income inequality, though the sobering reality is that income inequality in the United States is even higher than that of some of the countries torn asunder by violent revolution; for instance, according to the C.I.A. World Fact Book, the United States Gini coefficient, which is used to measure inequality, is higher than that of Egypt’s pre-Revolution.